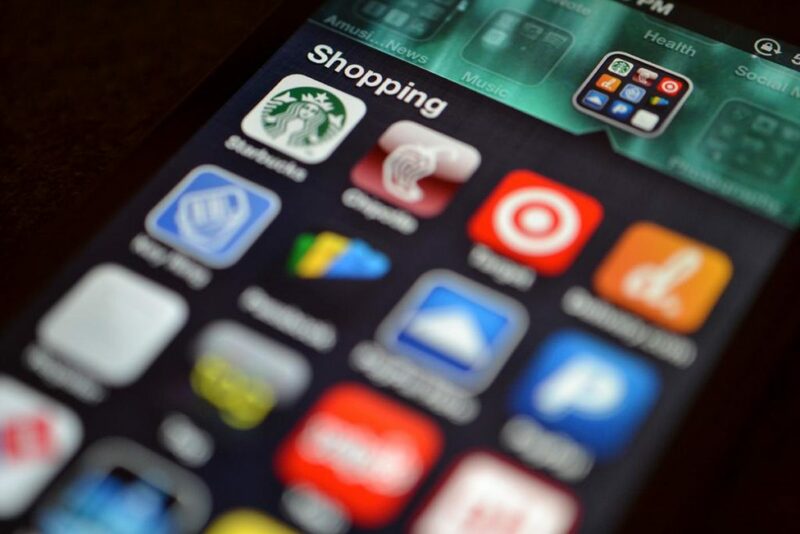 According to new data, smartphones are the driving force behind the e-commerce growth the past three months. In retail especially, the future is not pop-up shops or geo-fenced flash sales. Rather, the future of e-commerce growth is palm-sized. This phenomenon continues to accelerate, with video and Instagram leading the way. The latest information from Salesforce Shopping Index revealed that more than two thirds (67%) of visits to UK retailers came via mobile phone in the first quarter of 2018. During that period, overall digital revenues grew by 10 percent, and mobile orders grew by 25 percent. In the UK alone, mobile accounted for 40 percent of sales, desktop for 41 percent and tablets for 18 percent. How did the UK’s overall growth fair in comparison to growth elsewhere? UK online sales grew by 14 percent in the first quarter, and 15 percent around the world. The fastest growth rates detected by the Salesforce study were: Australia and New Zealand at 35 percent, the Nordics at 30 percent and Canada at 29 percent. When it came to discounting, however, UK shoppers enjoyed a discounting increase by 38 percent – the sharpest increase seen around the world. Dressing well in summers becomes an intimidating task with the heat blazing down on you. As the summers is finally at its peak, our personal advances in individual style comes to a grinding halt when all the layers and textures are removed from our wardrobe. Most of the men find difficulty in building multiple outfit items when the only comfortable items to wear in summer are shirts, shorts and shoes. This article will enlist top 5 summer style essentials that will help you survive throughout the summer season and make you look stylish. For a really long time pink has been something men have really been hesitant to wear. But not this year as pink is the bright color you have to reclaim this summer. Whether you opt for a deeper toned shade or a clean pastel pink, this color will give you a different more refreshing look. What Is the Best Job for a Woman? Have you ever wondered what would be the best job for you as a lady? You have home matters to take care of as well and give the right kind of upbringing for your kids too. It all boils down to the fact whether you are able to manage all issues well or you need to make your life much simpler. For further insights, read on. If you are a fresh graduate, yes, you will have dreams to work full-time in a reputable job. You didn’t go for higher studies for just being a stay-at-home wife. But when you have kids, working full-time, cooking, looking after the kids and dropping them at daycare center and bringing them back home may be too much for you to shoulder. The reason(s) the world is the way it is today is because the office of womanhood is vacant, the woman has abdicated her office/calling/position and ministry as a woman, because she is busy striving with the man to occupy an office that will never be vacant, neither will she ever be able to occupy the MANHOOD. Let’s go back to creation, “and Adam gave names to all cattle, and to the fowl of the air, and to every beast of the field; but for Adam, there was not found an help meet for him. And the Lord God caused a deep sleep to fall upon Adam, and he slept: and he took one of his ribs, and closed up the flesh instead thereof; And the rib, which the Lord God had taken from man, made him a woman, and brought her into the man. And Adam said, This is now the bone of my bones, and flesh of my flesh: she shall be called Woman, because she was taken out of man (Gen. 2:20-23) King James Version.